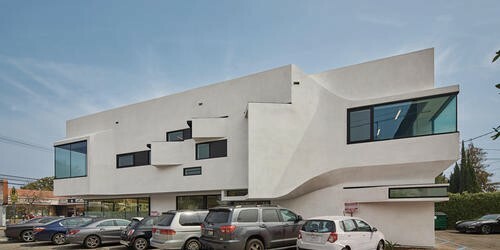 This discrete exterior and interior renovation reinvigorates an existing generic 6,000 square foot mixed-use building by engaging the sidewalk while creating a dynamic presence in this studio city community. 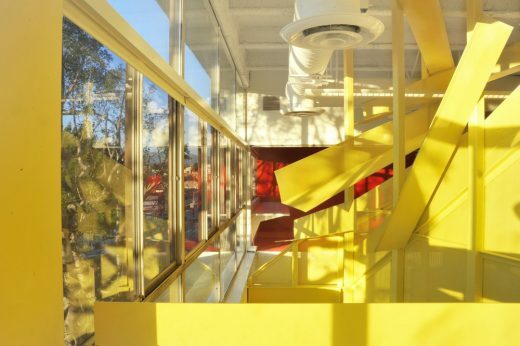 The design challenge for this healthcare office was updating an aging, dank, disconnected 1960s facility, re-energizing a business’ culture and espirit d’corps. This page contains a selection of major Los Angeles office building designs, with links to individual project pages. We’ve selected what we feel are the key LA Buildings, California: additions are always welcome. The retrofit design process reduces the building’s overall energy demand by 84% while generating the remaining 16% on-site. The design uses atria and light wells to bring daylight into workspaces, integrated louvers for natural ventilation, a new facade with 35,000 sqft of photovoltaic film, 30,000 sqft of rooftop solar collectors, and office equipment operated by a cloud computing system. The global nutrition and direct selling company earns Leadership in Energy and Environmental Design (LEED®) certification for the environmentally-friendly design of its offices at L.A. Live in downtown Los Angeles. 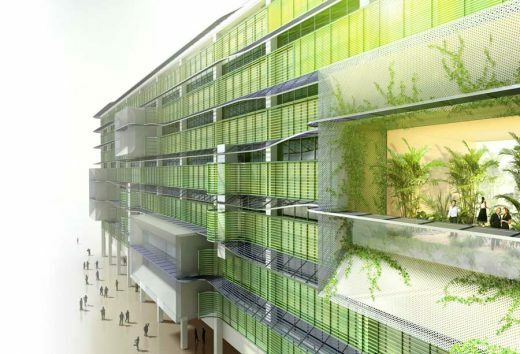 The LEED® rating system is run by the U.S. Green Building Council, and measures sustainability of buildings.